A young couple from Mostar, in Bosnia and Herzegovina, struggled to meet their children’s needs. Unemployment, illnesses and social exclusion brought them to the brink of despair. Together with the SOS Children's Villages team, the family is fighting to create a better future for their children. 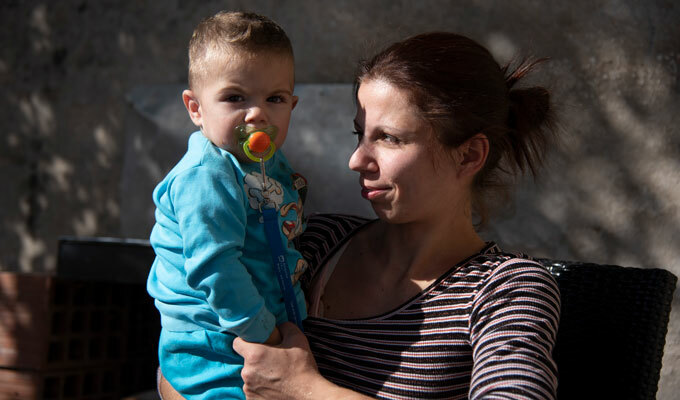 When Aleksandra*, 28, and her family settled in Mostar, a city in southern Bosnia and Herzegovina, they had to fend for themselves. Over 20 years after the Bosnian War ended, Mostar is still marked by ethnic divisions in the population. Aleksandra and Nikola are a couple that has found each other despite their different nationalities. Nikola, her husband, was unable to find work for seven months. Then Aleksandra was diagnosed with a serious health condition. 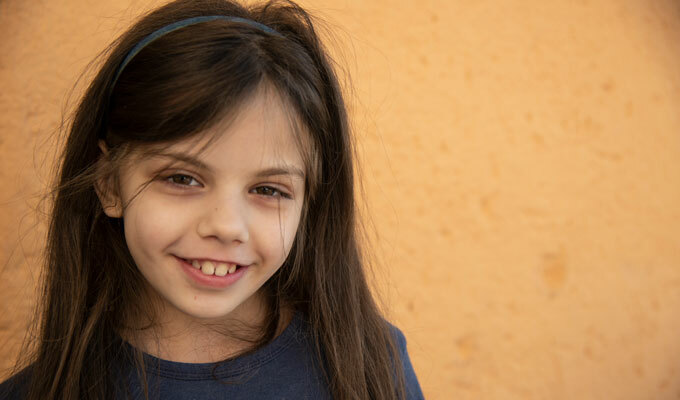 Her eight-year-old daughter Sanja was struggling in school because of persistent hearing problems, and both Sanja and her five-year-old sister Ivana have speech difficulties. Sanja and Ivana attend speech therapy and educational support activities to foster their development. The SOS Children's Villages team in Mostar started working with the family in 2016. The family’s situation started to improve slightly when Nikola found work. Another turning point came when a church let the family move into their current home rent-free. It is a modest house, the toilet is in an outhouse and part of the roof has fallen off. Without a stable income, the family cannot afford a better home. Aleksandra is grateful to be able to live in this house rent-free. Although Nikola is now working at a shopping centre, he does not have a stable employment contract and money continues to be tight. 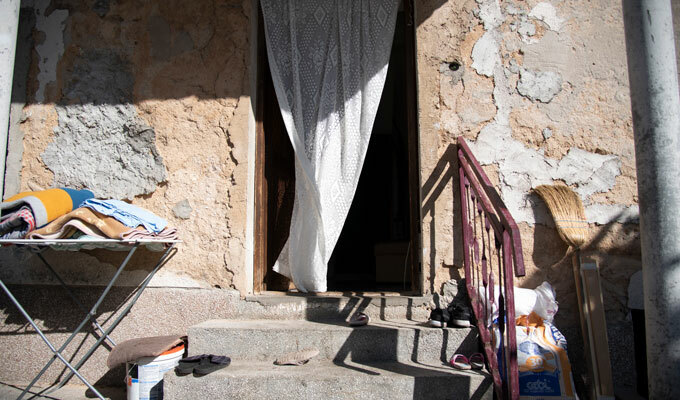 To help the family increase the household income, Aleksandra occasionally cleans houses. She has also begun to rear chickens. SOS Children’s Villages provided the family with the livestock. The eggs are both a source of income and complement the family’s diet. SOS Children’s Villages also supplied Aleksandra with the materials she needed for a knitting class, which has allowed her to sell some products at local fairs. Sanja and Ivana participate in a range of educational, creative and music activities in the children’s club of SOS Children's Villages, which helps them develop skills and make friends. Edita also connected them with a Big Brother/Big Sister project, where volunteers take children from disadvantaged backgrounds on outings and trips. In addition, Edita supports Aleksandra in finding solutions for Sanja’s learning difficulties. Her daughter is already one year behind in her education. The SOS team works with schools to jointly find ways to support children in their development. “Our family strengthening team communicates with the schools of the children we support, we work together with the teachers to find solutions,” Edita says. SOS Children’s Villages Bosnia and Herzegovina works in close cooperation with public institutions and other organizations to ensure that children get the best possible support for their individual needs and their development. Aleksandra is grateful for the support she has received. She was faced with setbacks in life early on. Her father was an alcoholic who beat her and her siblings. She had to drop out of school after the first grade of high school and started working when she was 14. Edita knows that it takes time to find solutions to the many challenges the family is facing. “The family has made progress, but there are still needs that have to be addressed, especially in terms of educational, psychological and social work with the children,” she says. Aleksandra had a high-risk pregnancy because of her health problems. Fortunately, she gave birth to a healthy boy. Aleksandra had a baby boy a year ago. At first, she worried about the pregnancy given her health problems, but fortunately she gave birth to a healthy boy and did not suffer any complications.